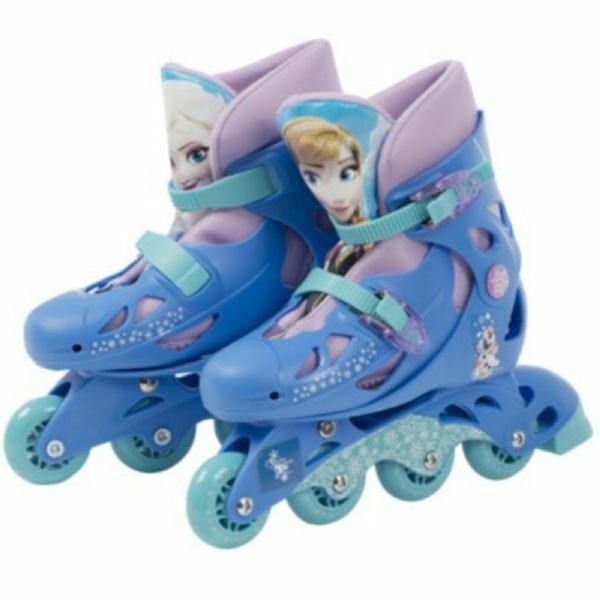 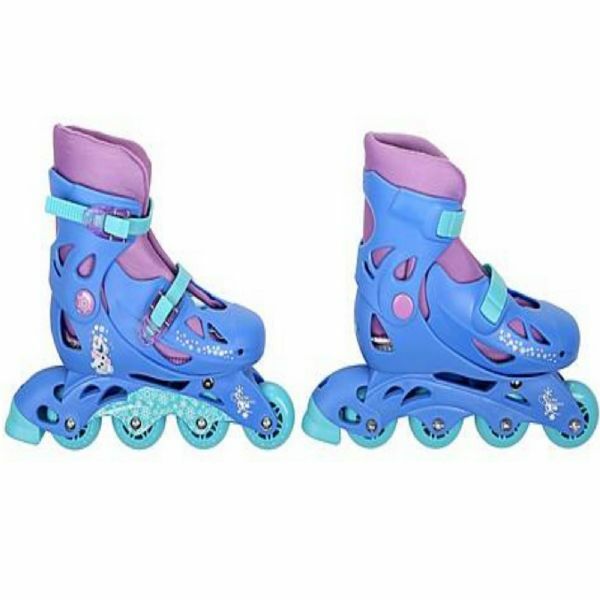 Glide as if you're on ice in these COOL Disney Frozen Inline Skates. 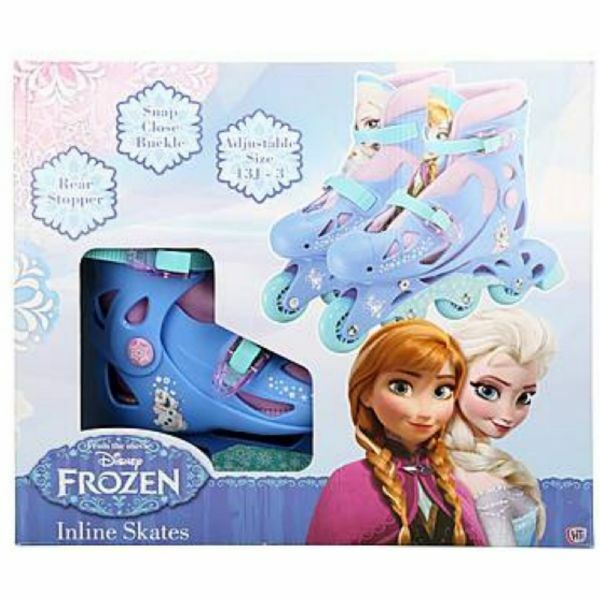 Children will love to play outdoors and learn to skate with these Frozen design Skates! 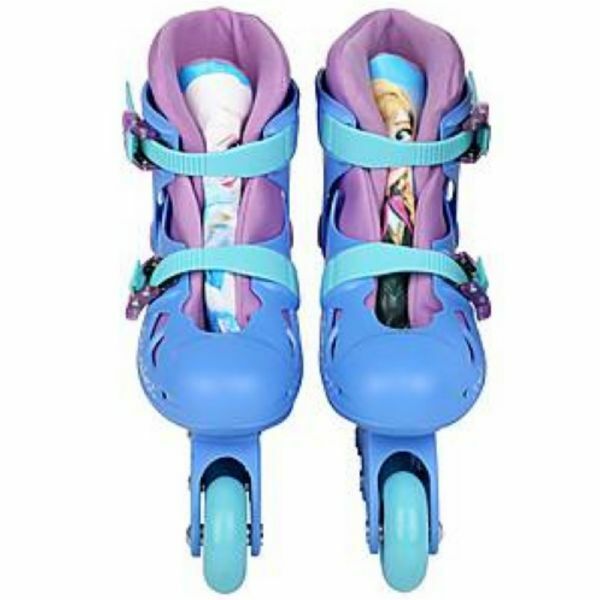 Coloured in frosted blue, purple and turquoise and decorated with Elsa, Anna and Olaf. 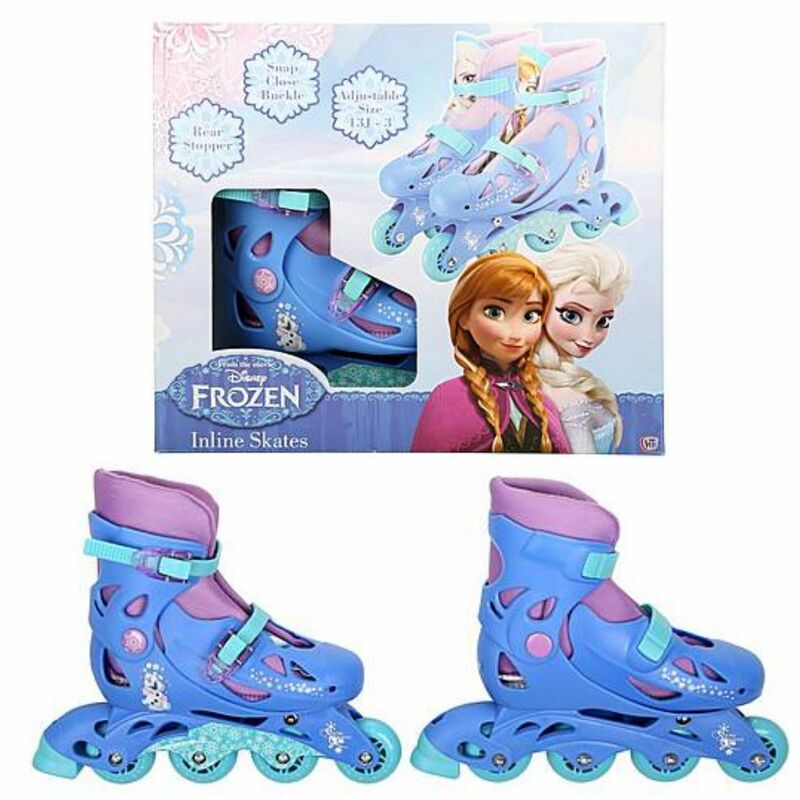 Your child will love zooming along as they sing to their favourite Frozen song. 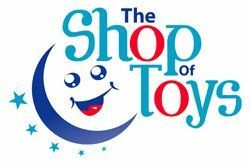 This item is Junior Sporting goods not a toy.